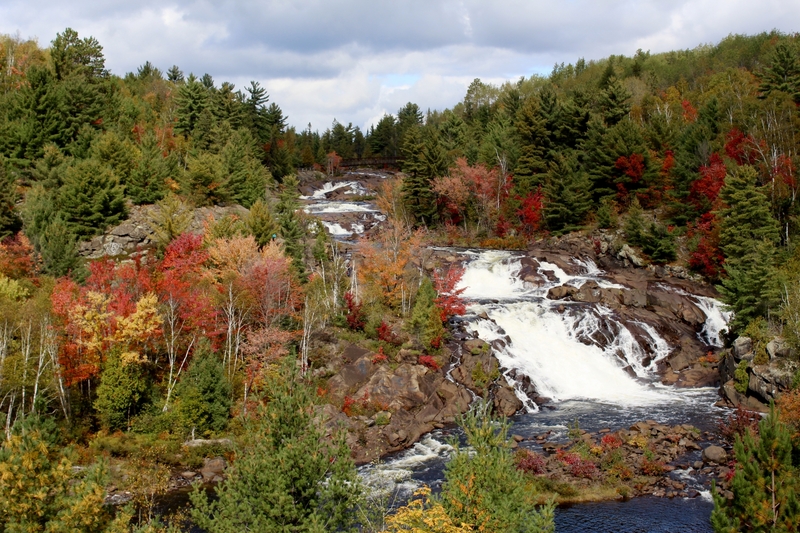 I photographed Onaping Falls located in Greater Sudbury, Ontario, Canada while out for a hike. It is hard to believe with a picture like this that Sudbury was once a training ground for NASA astronauts, due to the destruction of forests from mining. Thankfully, with the advancement of knowledge about the consequences of mining, many areas have been reclaimed with many tree species. Onaping Falls is truly beautiful and would be nothing without the trees that flow down the falls between the rocks. This is a great example (and reminder) that it is never too late to conserve nature, especially forests, in what seems to be the worst of situations.